Democrats controlled the seat for nearly 40 years under Nick Rahall, who was defeated by the Democrat-turned-Republican Jenkins in 2014. Now four Democrats want to turn that red seat blue, and seven Republicans want to keep it GOP. 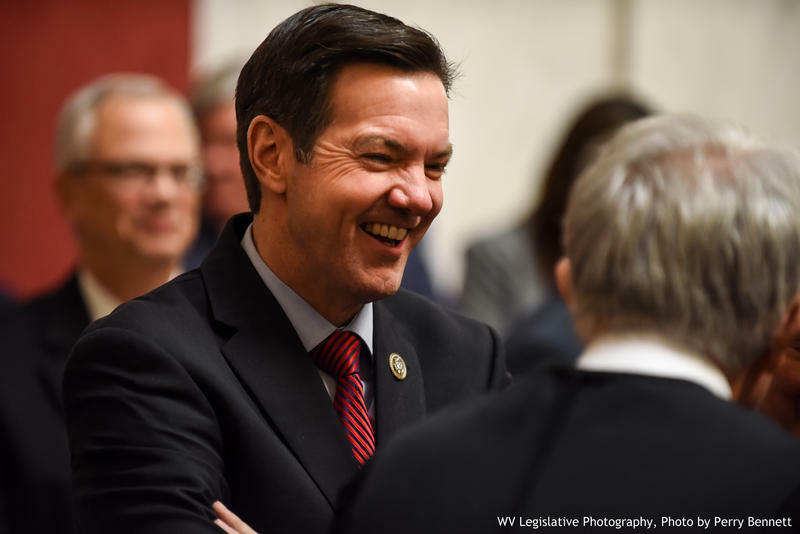 West Virginia Wesleyan political history professor Robert Rupp said the 3rd District will be the Democrats' best chance to pick up a U.S. House seat in West Virginia. "We're talking about an open seat now that Evan's left," Rupp said. "So that's automatically attractive." The top fundraiser by far among Democrats in the race is state Sen. Richard Ojeda. Rupp calls him a "charismatic candidate" with a powerful story. A retired Army major, Ojeda's facial bones were broken when he was attacked at a Logan County political cookout days before the 2016 primary. Jonathan Porter of Holden, was sentenced to up to five years in prison after authorities said he hit Ojeda from behind with a pipe and brass knuckles, then tried to run him over with a pickup truck. Ojeda defeated a Senate incumbent in that primary and won his seat that November. This past January, Ojeda's passionate Senate speech in favor of teachers foreshadowed the fight they would wage over pay and benefits. "When I said that a volcano was about to erupt, we are in that situation," Ojeda told lawmakers. West Virginia teachers ultimately won a 5 percent pay increase after a nine-day strike, and their success ignited similar teacher walkouts in other states. "Ojeda not only made his opinion known, he made his presence known," Rupp said. "Rather than just saying 'I'm for the teachers,' (he's) there fighting for them." Other current state lawmakers in the 3rd District field are Democratic Delegate Shirley Love and Republican Delegates Marty Gearheart, Rupie Phillips and Carol Miller. Former Delegate Rick Snuffer is on the GOP ticket. Snuffer won the 2012 GOP 3rd District primary over two others before losing to Rahall in the general election. Miller, a bison farmer, small business owner and daughter of the late Ohio Congressman Samuel Devine, raised the most money among the Republicans, doubling the hauls of Phillips and former state Republican Party Chairman Conrad Lucas. Republicans are outnumbered by Democrats in every county in the 3rd District, which stretches from the Ohio River through the southern coalfields to the Greenbrier Valley. But when President Donald Trump overwhelmingly won West Virginia, he also won a majority of the vote all of these counties, some as high as 84 percent. Rupp doesn't see support for Trump or the GOP waning in West Virginia, but he sees an "era of uncertainty" among voters. Their misgivings about career politicians might mean voters are "ready to try something else, and that's a national angst," he said. The 1st District Democratic primary includes Keyser attorney Tom Payne, retired international law firm CEO Ralph Baxter of Wheeling and West Virginia University law professor Kendra Fershee. Federal Election Commission records show Baxter's campaign has raised $623,000, 10 times more than Fershee. Payne has not submitted a finance report. Mooney will face either Aaron Scheinberg of Hedgesville or former Hillary Clinton state presidential campaign director Talley Sergent of Charleston in the general election. Scheinberg's campaign raised $534,000 through mid-April, compared to $256,000 for Sergent.